Paleobotanist Menno Booi discovered that 250 previously described fossil tree species are objectively not distinguishable and belong to only one single species. Towering clubmosses, primitive conifers and the first appearance of seed fern groups characterize the so-called Jambi flora. 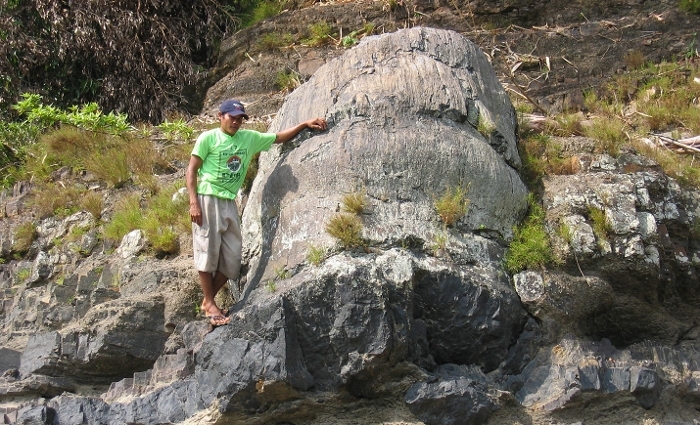 A collection of plant fossils that once grew in the Indonesian province of Jambi. Booi investigated this 290 million year old collection and made several discoveries. The first expedition to the Jambi region took place in 1925. The team, consisting of a geologist and a biologist, collected many fossils. Once in the Netherlands, the fossils were described by paleobotanist W. Jongmans. "Back in the days the heart of the province of Jambi on Sumatra was still an inhospitable jungle and carrying out fieldwork was a real challenge. For example, the researchers needed to be cautious for the many tigers that still ruled the area," Booi explains. After a dormant existence of almost a century, the collection was rediscovered by Naturalis paleobotanist Isabel van Waveren. The revision of the specimens showed that the material was very unique, but also that many questions were still unanswered. The ecological preferences of the species found in the Jambi flora did not match: some species appeared to be from wet environments, while others where know to prefer a dry habitat. This renewed the interest of the researchers that it led to four expeditions to the original localities, in which new fossils were collected. Naturalis researcher Menno Booi was one of the team members. He examined all the material collected during the expeditions, and it turned out that there were many old elements that were already known from the Carboniferous (300 till 350 million years ago). An example of these are clubmosses growing to 40 meters in height. Nowadays these do not exceed 20 centimetres. Clubmosses grew mainly in wet swampy conditions. The recent material also contained many new elements. Such as seed ferns and primitive conifers with trunks of 2.5 meters in diameter. These plants felt at home in a dry environment. "Fossils of these plant groups appear in the Jambi flora for the first time," says Booi. There is a remarkable number of pieces of fossilized wood of conifers present in the Jambi collection. "At least 250 species have been described for this type of wood in the past," says the paleobotanist. The wood itself has few characteristics. Descriptions are based almost entirely on measurements of the anatomy of the wood. For example, the diameter of tracheids, elongated cells that serve in the transport of water and mineral through the wood. Booi compiled measurements into a large dataset and analysed them. He concluded that, contrary to expectations, there are no distinct species to discerned in this large collection of fossil wood and that the specimens instead belong to one species, which bears a wide variation in appearance. Booi calls his results remarkable: "Apparently, the process of species description in paleobotany is quite arbitrary and new species are being described based on only a few specimens." As part-time PhD student and full-time software developer, Menno Booi believes that this process should be altered and that present (computational) techniques offer numerous possibilities to do so. For example, he proposes machine learning as a new option. 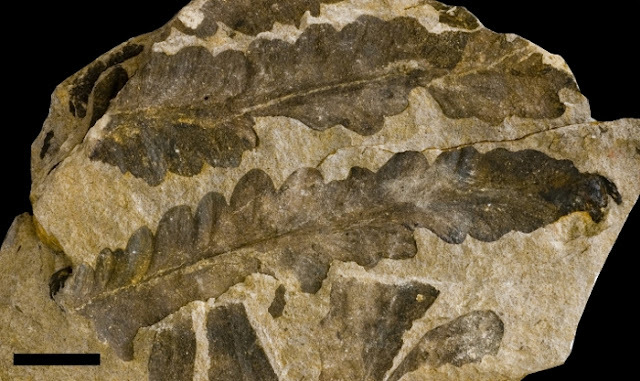 "You can actually teach software to recognize certain patterns in plant fossils. In this way, you standardize and classify in an objective way whether a specimen differs from other fossil material and to what extent it differs. 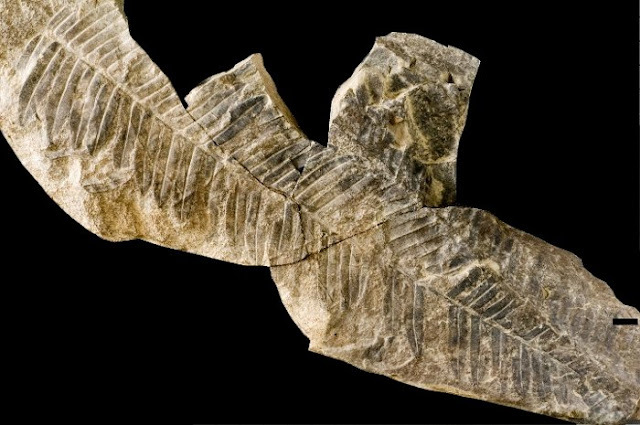 Doing so makes the field of paleobotany more interesting, more concrete and even sexier," says the researcher.